Pablo Larraín is the director of Jackie, the powerful film shot by Stéphane Fontaine, AFC. 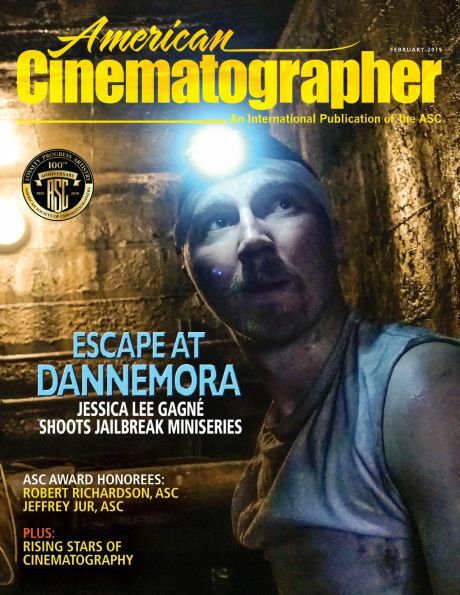 This post is an expanded version of my interview with Larraín published in the January issue of American Cinematographer, with additional illustrations and comments that we couldn't fit in the print version. You may also want to read my expanded interview with Stéphane Fontaine in my previous post. Pablo Larraín is a brilliant, poetic director from Chile whose credits include: No and Neruda. Jackie is his first English-language feature -- and one of the best films of the past year! Benjamin B: Jackie is a very original mixture of public historical facts, with a fictional interpretation of Jacqueline Kennedy’s most private moments. Pablo Larraín: We had to recreate historical shots because that’s the collective memory. People remember these images and we wanted to use that. It helped to trigger the memories of people who have seen that footage. If you use the real facts and respect them, then you get to be free when you have to work in those unknown parts, trying to understand her sensibility with emotional storytelling. And you get to portray something that feels believable. As I started approaching Jackie I realized that she was someone who had an incredible mystery, which was absolutely impossible to capture, or portray. That’s frightening at the beginning, dealing with someone who is so mysterious and so well known. It’s very hard to approach, and at the same time it gives you a lot of freedom because you assume that the mystery could never be completely captured by you or anyone else. And that’s where the fiction starts. How did you come to select Stéphane Fontaine as your cinematographer? Larraín: Pascal Caucheteux, who produced the movie in France, said to me: ‘We’re going to meet three DPs. Then you can decide who to invite and you’ll see if they want to make it.’ Stéphane was the first one we met in a cafe in Paris. Stéphane is very humble, a little shy; he’s someone who cannot speak loudly, for example. I don’t know why, but just looking at Stéphane, I turned to Pascal and said: ‘Can we cancel the other interviews?’ And he said: ‘Are you sure?’ And all this was in front of Stéphane. I said ‘Yes. Stéphane, do you want to do it?’ ‘Yes, I want to do it.’ I felt that he was in the right mood for the film. It’s hard to explain, it’s very intimate, especially with people you don’t know. It just felt right. Jackie was mostly shot in Super 16. What are your feelings about shooting film instead of digital? Larraín: We have to protect film, not just for aesthetic reasons but also for political reasons. Some say: ‘Film looks so vintage and old style’. But, films are not Instagram, we’re not filtering our life, we’re trying to find texture and something that is alive and breathing, because that’s what we need. For example, if you go to a film festival, at the opening ceremony they may show a clip with 10 seconds from each film in competition, and sometimes they all look pretty similar. That is so scary. Your mise en scene of the events around the Kennedy assassination often involves obscuring or hiding rather than showing. Larraín: I believe that great cinema sometimes comes from just showing a piece of something, and letting the audience complete it with their own imagination and biography. I’ve outgrown watching movies by filmmakers who don’t trust my intelligence or my sensibility. There’s nothing more dangerous and perverse and sophisticated than human life. If you show images that are completely predigested then you are not using what is interesting in each of us, what we have inside. It’s more interesting to let each of us complete the images. It’s more beautiful and more dangerous, because you’re letting people use their minds. Of course all of us are different. It’s fantastic that you can create something that can affect people in different ways. Particularly in a movie like this where you’re showing something that we all know and have seen so many times. So I thought it was very interesting to hide things, especially in the beginning. Does this approach apply to Stéphane’s cinematography as well? Larraín: I remember we were shooting and I looked through the viewfinder to see the framing, and I started to understand what Stéphane was doing with light direction. Most of the time in interiors, you don't see where the light is coming from. It’s incredible. That comes from a great artist like Stéphane. If I was hiding information so that the audience could build their own movie in their minds and hearts, then Stéphane was hiding the lighting and simply creating an atmosphere, that’s very hard to do. Then you just focus on people’s eyes which are the doors to emotions. Shooting with wide-angle lenses at short distances gives the film part of its intimacy. Tell us about your lens choices. Larraín: Most of the time we used the 14mm and the 18mm. We couldn’t be too close with the 14, as it would create some distortion, but the 18 was perfect, and we could be very, very close. The 18mm helps to define the movie and its space. Why did you choose it? Larraín: It just felt right. We tried multiple lenses and that was the lens that created an organic empathy with Natalie. When Stéphane put the 18 on and Natalie came close, closer, closer… it was just the perfect lens for her -- and for him. It showed you enough of the background. It’s not the lens I love the most -- that would be the 32 or 35. I don’t think you should look at every actor with the same lens. Most of the film is shot handheld, which adds to the feeling of intimacy. 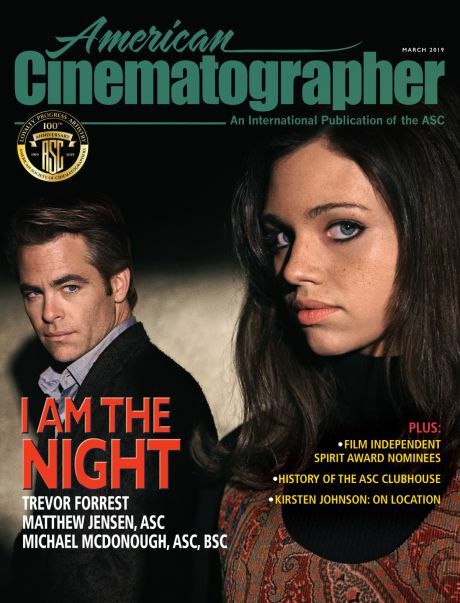 You also shot many very long takes, sometimes entire 11-minute magazines. Larraín: We all understood the mechanics of how I wanted to capture the circumstances. When we started shooting, Stéphane would keep rolling, and Natalie didn’t stop either, they were together. I was holding a wireless monitor, but most of the time I looked at them live. I didn’t need to see the monitor, I knew the lens he was using and I could feel the framing he had, just by looking at them. It was so interesting and beautiful, and sort of profound to see them do the shots. They had an incredible connection. They were dancing together. Did you shoot many takes? Larraín: As I remember, one third of the film was shot with one take, one third was more like three or four takes, and the last third up to nine takes, whatever we needed. Sometimes actors are expecting twelve takes and they slowly deliver their energy. Natalie didn’t do that, she would go from the very first frame until the last one with the proper energy. We would correct the scenes and rework them. She was going all the way on every take, and when you know that, then you don’t want to exhaust her, you want to take care of her and protect her. We shot the film quickly also because Stéphane is very fast. When we made corrections, he would change a couple of lights and Natalie would not go to her trailer, she would sit on the set because she knew that Stéphane would be ready in a couple of minutes. She would sit quietly, waiting for the next take, saving the energy. It was so beautiful. We would shoot again and she would deliver yet another take, with whatever I was asking for. What was the measure of improvisation on the set? Larraín: I can’t block scenes ahead of time, and I don’t use storyboards, except when we had visual effects. Most of the time I would get to the set and find a way to shoot the scene. When we shot handheld -- which was 70% of the film -- I would set up a situation and Stéphane would shoot it. I think ‘improvisation’ is a tricky word because it sounds as if someone created something out of nothing. You need to create a controlled space in order to get rid of control when the moment is right. And Stéphane had such a great sensitivity to that. The characters are often placed in the center of the frame. Larraín: Yes. In this movie I also tried to be either very frontal, or totally in profile, and avoid three-quarter framing of faces, because I think it’s intimidating on the big screen when you’re very close to the actors. The black and white footage is different, because we were matching the original frame by frame. The actors’ eyelines are usually very close to the lens, so that you are with that character. Of course the environment is really important, but what is really striking and what really takes you are the eyes of the character. Some of very centered geometry and vanishing points remind me of Kubrick. Larraín: Yes, but the danger of that approach is that it can go into a place that is too aesthetic and cold. You have to find some fragility in the shot -- that is essential. How did the DI go? Larraín: I would watch the dailies at night at home and Stéphane would do the same, and sometimes between takes on the set we would watch what we did three days before. I asked him: ‘How do you want it to look finally?’, and he looked at me and said: ‘Oh, pretty much what you’re looking at’. I didn’t say anything but I felt like: ‘Wow’. That’s another problem of HD: you’re always expecting to change everything on the color correction. 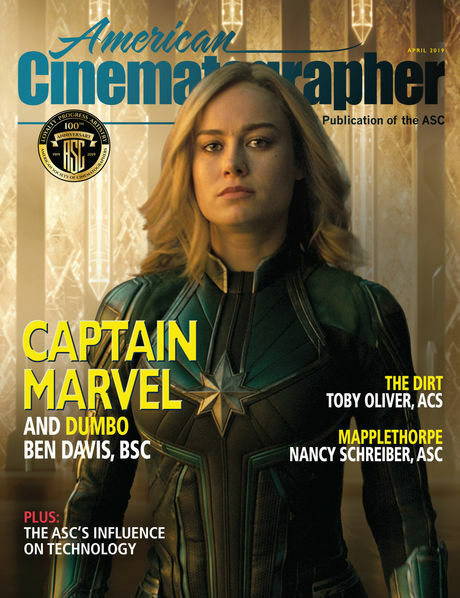 What we did here with the colorist, Isabelle Julien, was to find the proper balance, make it even, protect what we wanted, but it was as it was. Stéphane started the DI a week before I got to Paris. I couldn’t be with him the three weeks for the color correction. I called him and I said: 'Stéphane, you remember you told me that you wanted pretty much as it was, please do it. You’re so right, please do it'. And they did. The film’s structure is very non-linear, is that the way the script was written? Larraín: The script was written like that, and I also suggested other circumstances and scenes that were not in the original script. We had one main story line, which is from Dallas to the funeral and my editor Sebastián Sepúlveda did an amazing job connecting everything else. I was a little scared because I didn’t know how we were going to connect everything, and he said to me: ‘Don’t worry, we’re not going to do this logically, we’ll have emotional bridges between scenes’. And that’s what we did. It works because of that. For example, you go from the shot of her in the back of the car in Dallas to her crying in a mirror a lot later. And that bridge is just emotion, it’s not narrative. I feel that there is a form of cinematic cubism in some films today, which involves representing the same action from different vantage points. Do you agree? For example, Stéphane told me that you would sometimes shoot the same dialogue in different locations, and then cut them together. Larraín: Cubism is connected to two things, one is painting, like Picasso’s Guernica. If you get close to Guernica, you will see that there are some parts that have a specific structure and style and idea, and then you move a little bit to the left, to the right or up and down, and you will find another very different frame, with no apparent connection. But if you walk back to see the whole painting you find something that is incredibly well crafted, even though it’s made of pieces that are very different from each other. That’s one thing. The other is that I do repeat scenes in different spaces because I want the space to have a psychological meaning, not just a narrative meaning. When you are in a specific space and then you switch to another one, the scene moves but can continue in the same rhythm. If you follow the emotions and sensibility of the actors into different spaces, the spaces will have some narrative meaning, but mostly a psychological meaning. What nationality is Jackie? Is it a Chilean, a French, an American film? Larraín: It’s just Jackie, that’s what it is. It’s her. People from all over the world can connect to that specific sensibility, which is a feminine perspective of the world, and how a woman was able to put the entire country’s pain on her back and walk. It’s amazing. We just tried to relate to that and find beauty in it, and shoot it. Unit photography by Stéphanie Branchu, Pablo Larraín and Bruno Calvo, courtesy of Twentieth Century Fox Film Corp.